Ever find yourself sitting on the beach, enjoying your summer vacation, when suddenly an inspiration hits you about how to improve your code? Now you can act on that inspiration immediately, before it fades from memory, with Koder from iCodeLabs. Gizmodo featured Koder as an App of the day this week, and says "If you code, you'll love Koder." Apple rolled out some key new technology at WWDC earlier this month. As demonstrated in the keynote, developers were excited about the unveiling of iOS 5, iCloud and at the potential of Mac OS X 10.7 Lion, is now available online. iCloud, in particular, has some interesting testing ramifications. Especially in developing the best compatibility matrix, ensuring apps properly share data across various devices. How is a security expert like a QA tester? Testing and security are two sides of the same coin: that's the message of a WIRED editorial by security expert Bruce Schneier and a follow-up by fellow security expert Colin Percival. They think they're talking about security - but they're also talking about testing. Both fields of expertise have to look at similar problems, and the mindset that makes for a good security professional, can also make for a good tester. 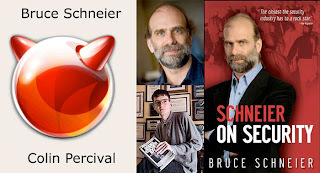 "Good engineering involves thinking about how things can be made to work; the security mindset involves thinking about how things can be made to fail," says Schneier. Tremendous amounts of computing are now moving to the cloud. Those of us old enough to remember not just before the Internet, but before the personal computer, may remember that the cloud used to be called "mainframes." Like mainframes, the modern server farms that make up the cloud have unusual problems sometimes: here, engineer Brendan Gregg demonstrates how to reproduce one failure condition that you're not likely to run into at home. Brendan has his own writeup of the error, which shows the diagnostic screens more clearly. It's important to remember that even though computers are deterministic, they're still complicated enough that a given error can come from wildly improbable causes. The reason that we need monitoring systems is to observe errors as they happen, and to be able to to try and prevent them, even if we can't directly look at the underlying cause. Monitoring and testing let you answer the "what's happening?" question without requiring that you answer the "why is it happening?" question. 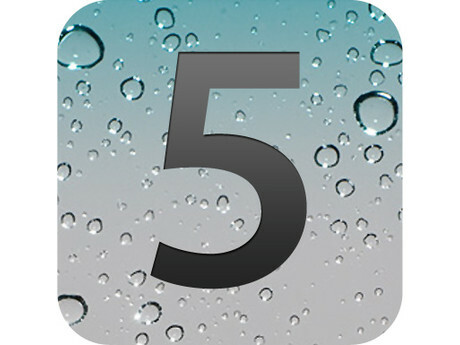 At this week's Apple Worldwide Developers Conference, Mac OS X Lion, iOS 5, and iCloud are debuting, and they all look astonishing. The new services that Apple is offering are handing developers one enticing possibility after another with their new APIs. The possible apps that can be built on those APIs are amazing, and yet it'll take a lot of work to get from here to there. It's easy to get caught up in how cool the possible apps are and to overlook some of the questions that have to be answered in order to make an app that fully lives up to the promises of the iOS 5 APIs. So in order to help you get from API to all-star app, here are five aspects of an iOS app that should be on your list of things to test. What happens to your app when the device doesn't speak English?